The Delaware County Board of Commissioners distributed a draft master plan to township trustees throughout the county in July that offers four individual options for Emergency Medical Services (EMS), with one of the options being a countywide run EMS department. Liberty Township Trustee Melanie Leneghan said residents are paying for both the township’s fire department/EMS and the county EMS. She added it appears the commissioners’ ultimate goal is to make Delaware County EMS a countywide service. For clarification, The Gazette reported in 2016 that the county EMS is supported by a countywide .5 percent sales tax, while Liberty Township’s fire department, including EMS, are supported through the township’s fire levy. Michael Frommer, Delaware County administer, was invited by trustees to present the master draft plan and answer questions. Frommer said there are seven individual organizations that provide EMS in the county with most being fire departments that provide the service, plus DCEMS. Currently, Liberty Township and the City of Delaware fire departments partner with the county, which provides supplementary funding to provide the service to their individual municipalities. Frommer said Delaware County EMS has 10 stations throughout the county in different geographic areas, but not one is set up solely in a township. Frommer said a couple of the things that came out in the master plan that the county might consider is dispatching the closest vehicle using GPS technology and a predetermined response protocol. Frommer added there are four alternatives to the master plan, but none of those alternatives have been adopted. “There has not been a formal vote by the commissioners about adopting this master plan and recommending it to the board (of trustees),” he said. 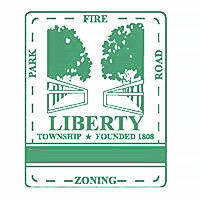 Liberty Township Trustee Shyra Eichhorn said she realizes the master plan is only a draft, but there are a lot of red flags in it for her. “Are you working through those first,” she asked Frommer. Frommer said the county was starting to implement some improvements. Leneghan said she read the report to say that because there are seven providers, there are problems. Trustees asked Chief Tom O’Brien to pull the township’s numbers and compare them to the numbers in the draft master plan. After the meeting, O’Brien did not comment on the topic. However, Liberty Township Professional Firefighters Local 3754 rendered a press release to The Gazette. This entry was tagged D. Anthony Botkin, Delaware County Commissioners, Liberty Township, Local 3754, Melanie Leneghan, Michael Frommer, Mike Gemperline, Shyra Eichhorn. Bookmark the permalink.